Carlene Heitman grew up in Seattle and has always been preoccupied with music. She played piano, sang in choir in junior high and high school, and began playing guitar and bass when she was 14. By age 16, she joined her first bands, Iconoclast and Metaphysical Chaos, where she was a vocalist and played guitar and bass. 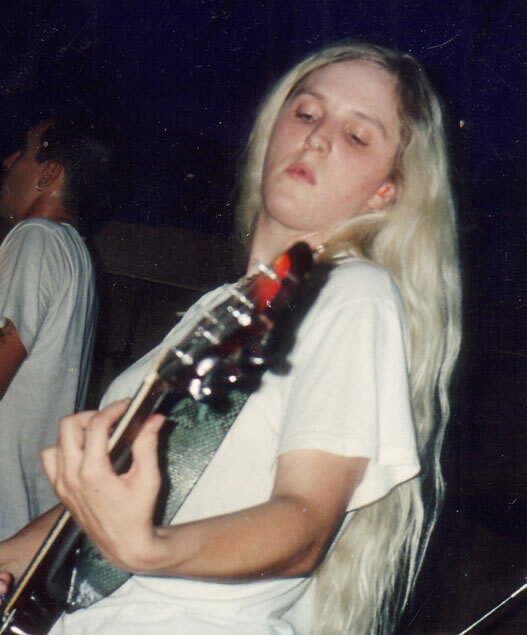 Carlene joined DSML in 1984 as lead guitarist, followed by Wicked Angel and Circus of the Stars, gigging at all-ages Punk Rock shows in Seattle, Portland and Olympia. In 1989, she played guitar in Born Naked, followed by Control Freak and the She-Ites. In 1991, she recorded as “Lily White Hands” with Dale Lloyd for “After the Flood”. Control Freak signed on with Cavity Search Records and two singles followed. In 1995, the CD “Low Animal Cunning” was released. The band played shows in Seattle, Portland, Los Angeles and many places in between during the 90s. In 1996 she bought her first drum set. Carlene still lives in Seattle, is currently jamming with buddies and working on various music projects, including a book that will feature a ton of photos she took between 1982-1985 of Punk Rock shows at the Metropolis and other Seattle venues. She also maintains a YouTube channel with exclusive rare live videos of Seattle Punk and Indy music of the 1980s and 1990s. Some of this video has since been used in the Mudhoney documentary and an upcoming Personality Crisis documentary.